Tianhui Michael Li and Ariel M’ndange-Pfupfu will lead a hands-on online course Oct 10, 12, and 14, 2016: Distributed Computing with Spark for Beginners. Instruction includes building functioning applications from end-to-end and mastering critical tooling around Spark. Figure 1. Credit: Michael Li and Ariel M'ndange-Pfupfu. Figure 2. Credit: Michael Li and Ariel M'ndange-Pfupfu. 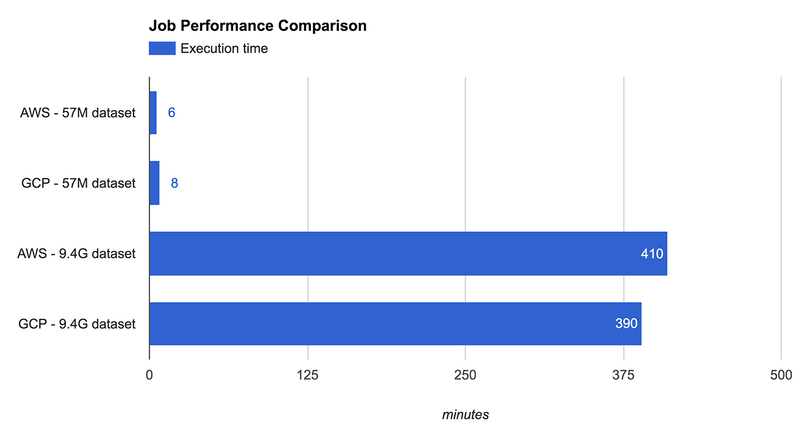 The short job clearly benefited from GCP’s by-the-minute billing, being charged only for 10 minutes of cluster time, whereas AWS charged for a full hour. 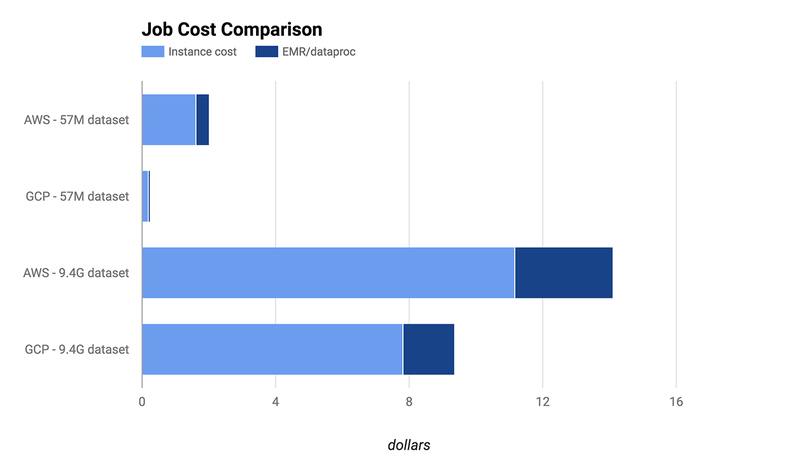 But even the longer job was cheaper on GPS both because of fractional-hour billing and a lower per-unit time cost for comparable performance. It’s also worth noting that storage costs weren’t included in this comparison. Article image: Hourglass comparison. (source: Pixabay). Ariel M'ndange-Pfupfu is a data scientist in residence at The Data Incubator, a big data education and placement company that runs customized, vendor-neutral, corporate training, and a selective eight-week fellowship for Ph.D.s transitioning into industry. He has worked on a variety of data science, software engineering, and curriculum development roles, and is also a current Bleeker Fellow. He earned his Master’s degree at Stanford and his Ph.D. from Northwestern.